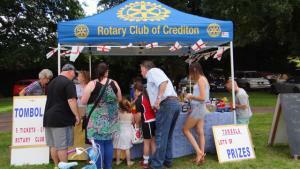 Rotary Club of Crediton - welcome! Please scroll/swipe down through this page to find out more about us, in addition to the pages linked in the menu, top-left. 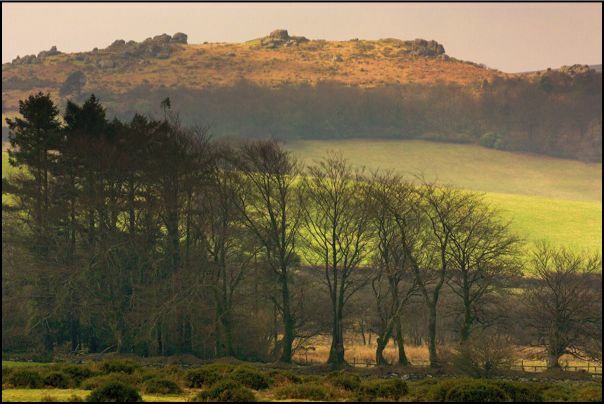 Nestled between Dartmoor and Exmoor, and close to the city of Exeter, the town of Crediton is located in an area of outstanding natural beauty. The club actively supports many local, regional, national and international charities and is a very keen supporter of the Cornwall based Shelter Box disaster aid organization. Our Literacy (Starfish) programme: Over 80% of the adult polulation have well developed literacy skills however, turn that figure on its head it is generally agreed that between 15 and 20% of young people leave school at sixteen functionally illiterate. Our Starfish Project targets the children who are behind in literacy and with ages of five to seven and gives them intensive one on one support to a level where they can manage as independent learners. The project started with just 4 children in Haywards School and has been so successful (the 4 children jumped 1 year in reading ability) that we are now committed to a total of 12 children in a term. Together with Morchard Bishop Primary School, The Woodland Trust and CO2 Balance we were instrumental in planting 30 trees as part of the 50 trees by 50 clubs campaign. This project was awarded the 2014 national Rodney Huggins Environmental Award (Schools Category) and was supported by Mel Stride MP. Our club has instigated a Membership Drive to encourage more people to join Rotary and start assisting those who so desperately need our help. We have very recently iniated a Corporate Membership class where businesses can nominate a number of representatives who are able to attend and join in our functions and meetings. The club, which numbers about 30 members, was founded in 1948 and meets usually on the first two Thursday lunchtimes every month in the delightful Sandford Cricket Club. which is just outside Crediton.